Feel free to contact Alecia Frizzell if you have any further questions regarding admissions into the UCHS STEM Academy. NATIONAL CHAMPIONS FOR TEAMS WRITTEN ESSAY!! Click on the link below for more information regarding our TEAMS competition. We are so proud of this National Title!!!! We would like to congratulate our STEM students for their recent participation at the TSA State Conference in Athens, GA. We came home with two top ten finishes in the state of Georgia and are able to compete at the National Conference Level. Congratulations to Adalyn Rogers and Tommy Orchanian who finished 5th in the state for Debating Technological Issues. Congratulations to our Electrathon Team: Madison Yost (driver), Evelyn McBride, Nathan Cobb, Will Harkins, Matthew Patrick, and Adalyn Rogers. We came away placing 7th in the annual TSA State Electrathon Race. This was our first year racing our car. Students worked dilligently in our STEM class to design, create, build, test, and race this electric car. Congratulations to all students who were able to compete in events at TSA. Our students gained a tremendous amount of knowledge. 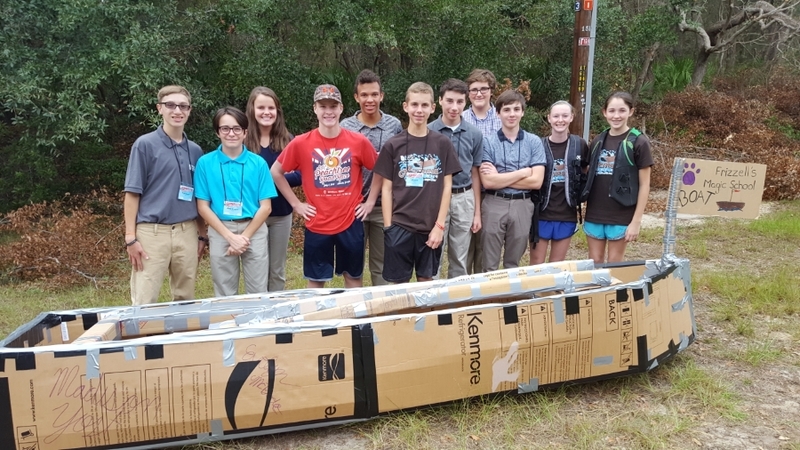 We would like to congratulate our STEM students for their performance at the TSA Leadercon competition and conference at Jekyll Island. We placed 1st in the Armada boat race. We also had three students who were awarded the Statesmen Award: Adalyn Rogers, Madison Yost, Evelyn McBride. Thank you for all your support! We would like to congratulate our STEM students for their performance at the TSA competition at the Georgia National Fair on Monday, October 10. The team who constructed the mousetrap car placed fourth. The catapult team placed third out of over 100 schools. We are very proud of our students. We also were successful in our bridge design and construction as well as our Rube Goldberg Machines. Thank you for all your support! On March 11, 2016 the UCHS STEM academy competed against schools across Georgia in a TEAMS (Tests of Engineering Aptitude, Mathematics, and Science) competition in the areas of science, technology, engineering, and mathematics at Georgia Tech. We just received our results and we placed 3rd in the state with our academically talented group of students all scores added together. Individually, Adalyn Rogers and Patrick Colwell placed first, Leilani Schroeder and Steven Seiler placed second in a problem solving event. We are very proud of our students. Thank you for supporting these students in our STEM program.